Progetto&Ricerca Srl is an italian design atelier and styling studio that, since 2001 managed to dominate the market with its professionalism, in a simple and natural way. The philosophy of the atelier revolves around the concept linked to the natural flow of creativity through the modeling technique. The tailoring in the DNA and the attention to the processing details and volumes have helped to give the atelier a passional and strong contemporaneity spirit. 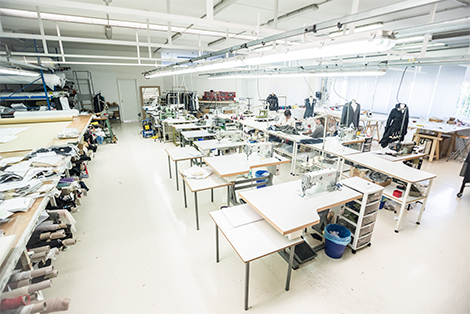 The atelier is able to follow all the stages of the manifacturing design work that forego the production on industrial scale. of the transformation of the world. This space is the fulcrum of the firm. Here is where the creative capacity of the group has the chance to better express its technical expertise gained over time. The interpretive capacity ranges from child, woman and man. 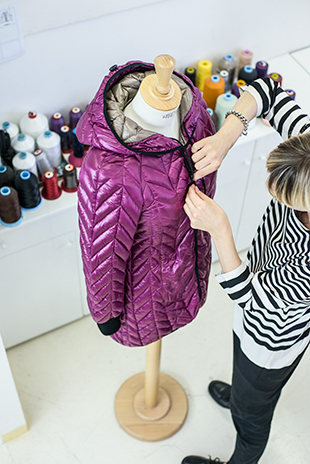 This department - which works closely with the modeling department, working with the same philosophy of passion and expertise – complete the interpretation of the fashion sketch supplied by the customer adding value in the accurate cutting of the fabric and care of sewing and details. 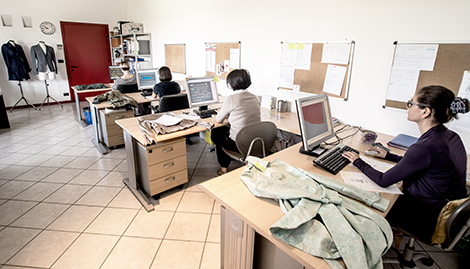 In addition to the manual realization of the paper pattern, the atelier provides the CAD service which includes the computerized insertion, development sizes and placement with the optimization of consumptions necessary to the production process. What's more real than real fiction. Transform every view in an object through quick wit because the future belongs to those who can imagine it. This is the key message for those who want to embark on a career with us through internships. Progetto&Ricerca Srl collaborate with professional schools (IPSIA Fortuny, Italy - Institute Machina Lonati, Brescia, Italy - Secoli Institute, Milan and others) by providing its structure and training in institutes and schools.